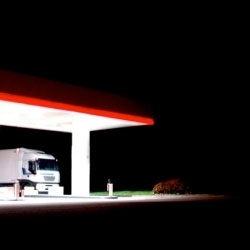 Richly colored, often abstract, unusual photography by Paris-based Sherif Elhage, whose work is made all the more impressive given that none of the images are manipulated in Photoshop. 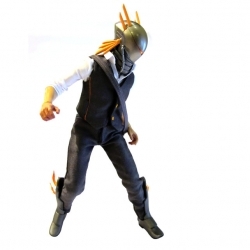 Hermes the first character in the God Complex 12 inches toys; a limited series by Foxbox. Beautiful roundup from a beautiful week at NOTCOT.org including finger noses, baby aardvarks, spraypaint cans in the making and so much more. Amsterdam Artist SIT's Exhibiting Print for the upcoming SF Exhibition 'Analog<> Digital' at The Meridian Gallery, Friday May, 13th, 6-9pm. 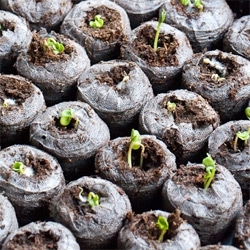 FEATUREDVegetable Gardens! Everyone's doing it ~ here's a peek at how to start, and some of the fun options. Also a look at a documentary on groups working to raise awareness about urban vegetable garden benefits. 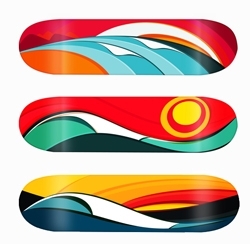 About Sliced Pixel: “With this technique I used the most basic elements in today's graphic design; pixels. 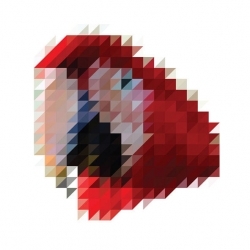 They were sliced in half, and with the sliced pixels I created numerous animal heads.” Victor van Gaasbeek. 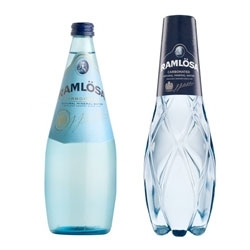 Ramlösa is a traditional sparkling water from Sweden. Now with a new packaging. A plastic bottle shaped like a crystal. 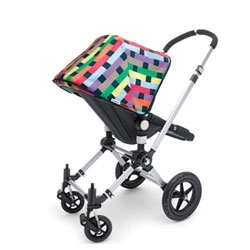 Cute stroller collaboration between Bugaboo and Missoni. 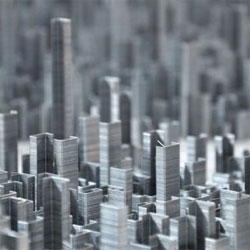 Colossal's great roundup of amazing structures made from staples. 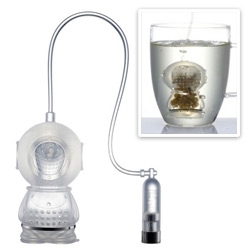 Tea Diver is a fun twist on the tea infuser. 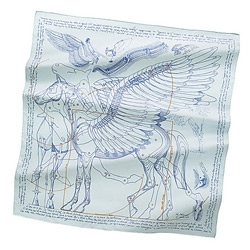 Inspired by the traditional Korean diver, Meoguri. 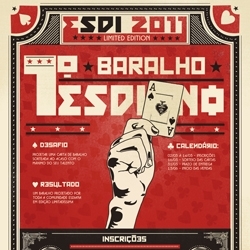 Esdi, Brazil & Latin America's first design school, (listed in Newsweek's Top 60 Design Schools in the world) launched this site for its First Ever collective Playing Card Deck, limited edition of 100. 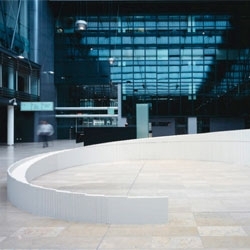 Lene Rønsholt Wille's Metaphorical Horizons is an immense structure in the center of the Amsterdam World Trade Center, made with 270,000 white LEGO bricks. 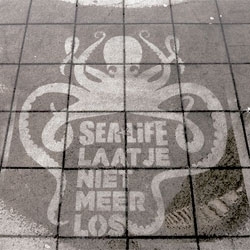 Rain Campaign ads for Sea life Schevenigen from Fresh Green Ads show up on the sidewalk when it rains. 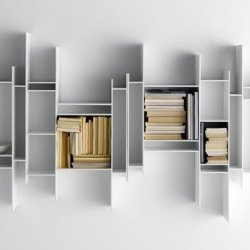 Cute graphics and great concept! 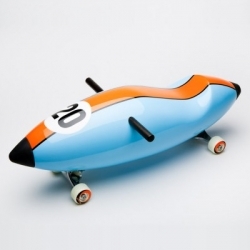 Designer Jerry Koza has created a sleek line of children's torpedo scooters. 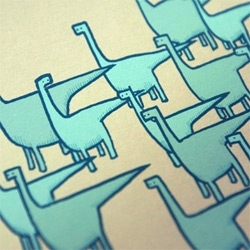 FEATUREDThe Bird Machine's Tiny Herds of Dino prints! 15 Brontos and 15 stegos ~ even more adorable up close! 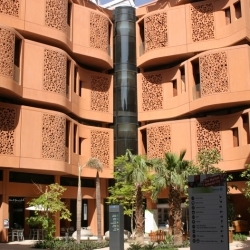 Inhabitat take a first look inside Foster + Partner's ambitious carbon-neutral Masdar City! 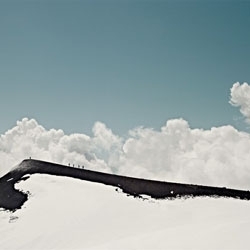 Beautiful photography from Bernd Edgar Wichmann. 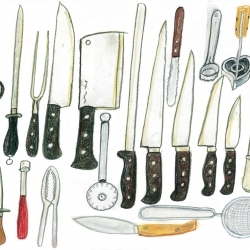 1080 Recipes by Simone Ortega and her daughter Inés. Wonderfully and playfully illustrated by designer Javier Mariscal. 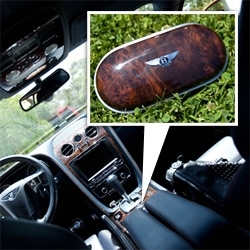 FEATUREDThis glasses case snaps into the cup holder... has wood that matches the dashboard and a leather interior matching the seats - fun Bentley add on! 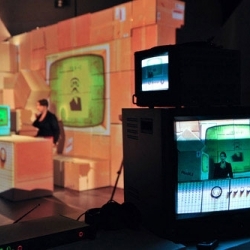 Dynamic scenography designed for the program Viva La Crisi from dotdotdot, interdisciplinary design studio based in Milan.Using projection-mapping to create a stage-set for an Italian talking-head TV program. 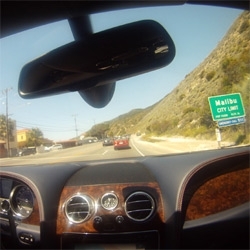 FEATURED2012 Bentley Continental GT ~ as promised, here is a look at the "Orange Flame" exterior from all sides up in Malibu Canyon. The lines are so crisp and glow in the sunshine! 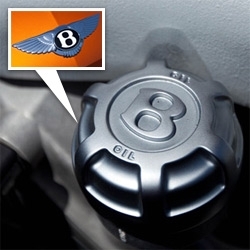 FEATUREDCurious what powers NOTCOT? 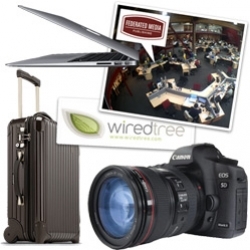 Here's a peek behind some of the services/products that make it happen! 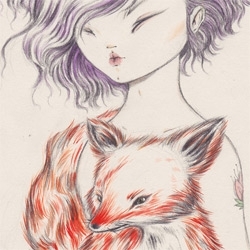 Beautiful work of Violeta Hernández, illustrator and graphic designer. 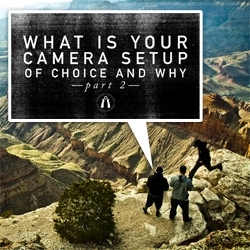 "What is your camera setup of choice and why?" Awesome feature at Defgrip - See what Justin Kosman, Tommy Blanco, Vincent Perraud, Jon Stars,Ryan Fudger,David Lang, Kyle Emery-Peck, Cody Nutter, George Marshall and Joey Cobbs had to say. 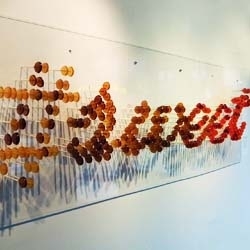 #Sweet - an installation by Gastronomista made with Root Liquor Lollipops. 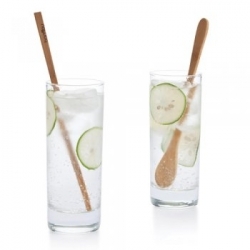 The Maple Root with Sea Salt was my favorite! 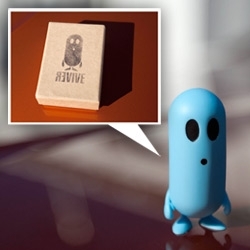 FEATUREDRevive's Denzel ~ this phone concept by Kinneir Dufort has an adorable ambassador! Take a peek at the unboxing of the toy prototype and video of the concept... and the car he's standing on! 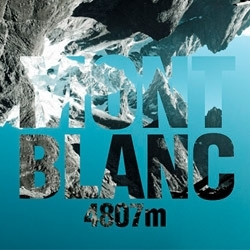 Le Tour du Mont Blanc - My Poster Series. 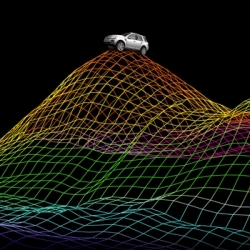 2011 Dodge Charger Future of Driving commercial. 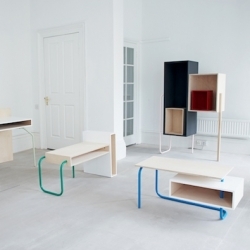 Beautiful furniture from Spanish designer Tomás Alonso. 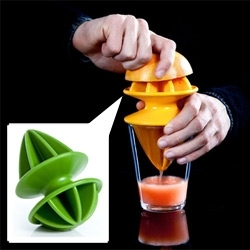 Cute rabbit pen holder from oodesign. Bold international trademarks from a mid-seventies edition of "The World of Logotypes" by Al Cooper. This fox logo was designed by Ryszard Sidorowski in Poland. 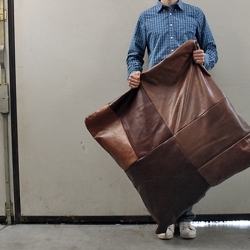 Patch is a project from HeyTeam which wants to recover discarded leather from the shoe industry. 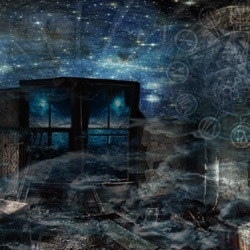 That is how we gave a second life to a precious material, doomed to be wrecked. 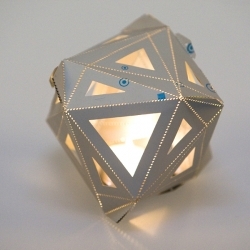 TetraBox Lamp by Ed Chew, a recycled lamp from strips of empty Tetra Brik boxes. 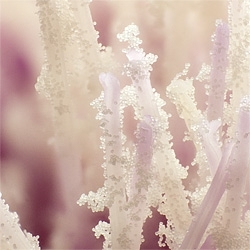 Computational micro panoramas. 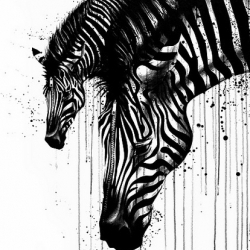 A collection of realistic but traditionally impossible images by Treasure Tolliver. 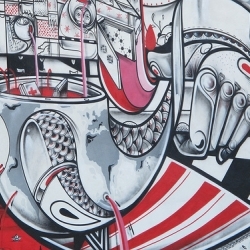 Mindblowing mural by the How & Nosm brothers in downtown LA. Also comes with a subtle message about free speech. 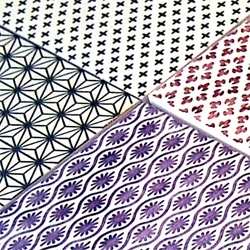 FEATUREDParisian tiles ~ gorgeous pattern inspirations! 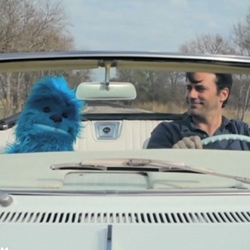 Jon Hamm and a blue yeti puppet are the stars of the new music video of Herman Dune, an indie folk rock band. 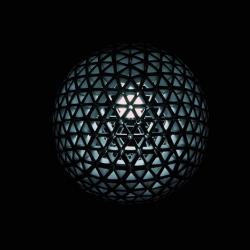 Directed by Toben Seymour. 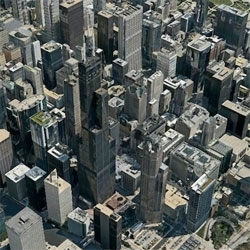 Impressive, extraordinarily detailed 3D city maps from C3 Technologies boast accuracy within just 6 inches.